Science may or may not have been your favorite subject in school, but keep the flame (on the Bunsen burner) alive with these projects for the kids. Bring back the cool, magical experience of such science mavens like Bill Nye with these science experiment videos for kids. Easy to follow, thoroughly explained and super fun, each video features a unique and educational experiment to try at home. Channel the psychedelic 60s by making your own lava lamp. With simple kitchen goods like vegetable oil, water, Alka-Seltzer and food coloring, you can bring the retro sort of light you've been looking for. From Home Science Tools, this video explains the easy but cool way to make a totally mind-blowing experiment. There are so many fun experiments to do with eggs, but have you ever tried to make a rubber egg? We usually think of eggs as being hard-shelled, runny, or scrambled, but can you just begin to imagine a rubbery egg? Well, find out how to take an egg and give it a rubbery texture from WhizKidScience. It is easy to tell the difference between hot water and cold water by temperature, but what about the density of the two? Try this water experiment to find out. The kids will learn a fun but informative lesson thanks to YouTube user HooplaKidzLab. 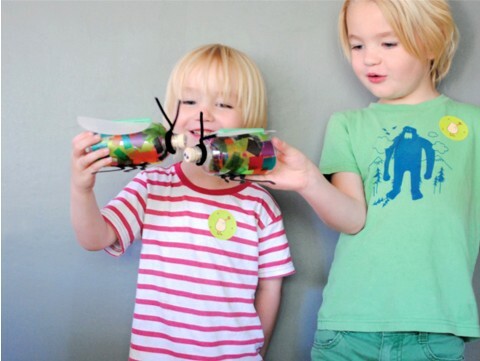 Have more fun and experiment with science by checking out HooplaKidzLab's other videos. There are so many beautiful flowers in a variety of colors, but you may not be able to find the perfect color or your favorite color. Did you know that by placing a white-petaled flower in colored water, the flower will change its color? To understand how this happens and try it out for yourself, watch this video from elearnin. Children of yesterday, today and tomorrow have one timeless pastime: playing with Silly Putty. For over fifty years now, Silly Putty has been entertaining millions and putting smiles on thousands of children's faces. Now, learn to how to make your own. This Howcast video shows how chemicals react and creates the fun silly goop we love. Check out more videos from Howcast on YouTube. Common to many heroic tales and adventure stories is the dreaded but fascinating quicksand. Ever wonder how it works? Well, try making homemade quicksand and have fun while exploring its properties and abilities. From Keeping Science Real, check out another fun soda experiment from the site's YouTube channel. Balloons can easily pop, especially around sharp objects, so how can placing a skewer through a balloon not pop it? Check out this video and try it out for yourself. From Steven Spangler Science, this experiment looks at and plays around with polymers. For more information on the experiment go to this page, or for more science experiments, watch video demonstrations on SpanglerScienceTV.